Looking for parking in Washington DC? This parking guide will tell you everything you need to know. As our nation’s capital, Washington DC boasts countless attractions, historic sites and other things to do. Here at SpotHero, we compiled everything you need to know about parking in Washington DC. Check out this historic monument of President Lincoln and get a great view of the city. Explore more Lincoln Memorial parking here. Walk through the famous National Mall to see where countless presidential inaugurations have taken place throughout American history. Check out more National Mall parking here. Capitol Hill is home to the U.S. Capitol Building, the Supreme Court and the largest residential neighborhood in DC. Search for more Capitol Hill parking here. You can’t miss the iconic and tallest building in DC, the Washington Monument. Explore more Washington Monument parking here. There are over 19 museums in DC, and The Smithsonian is the largest among them, with some of the most important artifacts from our nation’s history. Want more Smithsonian parking? Click here. During your time in DC, take some time to catch a game or concert at one of DC’s world-class stadiums. Below are some great parking options for each stadium. Need something to do during the weekday? If the Washington Nationals are in town, pop over to Nationals Park for an afternoon at the ballpark. Explore more Nationals Park parking here. Right in DC’s downtown Penn Quarter and a few blocks away from the National Mall, is Capital One Arena. 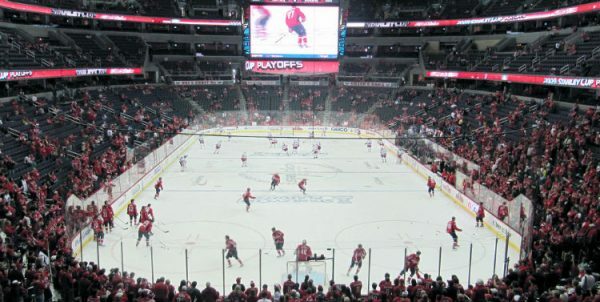 Formerly known as the Verizon Center, it is home to the Washington Wizards and the Washington Capitals. Want more Capital One Arena parking? Click here. The city has tons of on-street and off-street public parking meters for you to take advantage of. It’s important to know the rules of that specific meter if you don’t want to get a parking ticket. You can find more info on DC metered parking here. DC has parking available in residential parts of the city, however you must follow the procedure of obtaining the permit. Find out how to obtain a permit for DC residential parking here. If you don’t want to go through the trouble of obtaining the permit, have a stress free parking experience in DC by reserving parking with SpotHero. Washington DC winters can be tough to navigate when it comes to parking. It’s important to look out for street closures in extreme winter weather. For more information on parking procedures during Washington DC winter emergencies, click here. Looking for airport parking? Washington DC’s main airports – Ronald Reagan Washington National Airport and Washington Dulles International Airport – have several parking options within close proximity, ranging from short-term and long-term parking to off-airport lots and hotel parking. Parking with SpotHero is an affordable and convenient way to explore your options and reserve parking in advance, often at a better price point than drive-up rates. To search for Ronald Reagan airport parking, click here. To search for Dulles airport parking, click here. Still looking for parking in Washington DC? Search and find more options for Washington DC parking here.